It is definitely a Halloween tradition of ours to let the kids make a few crazy treats each Halloween. Last year, we made witch cupcakes, that was before I started blogging. Maybe I’ll upload a round-up of old Halloween pics? That would be fun! Regardless, here is what we made tonight, ZOMBIE RATS!!! 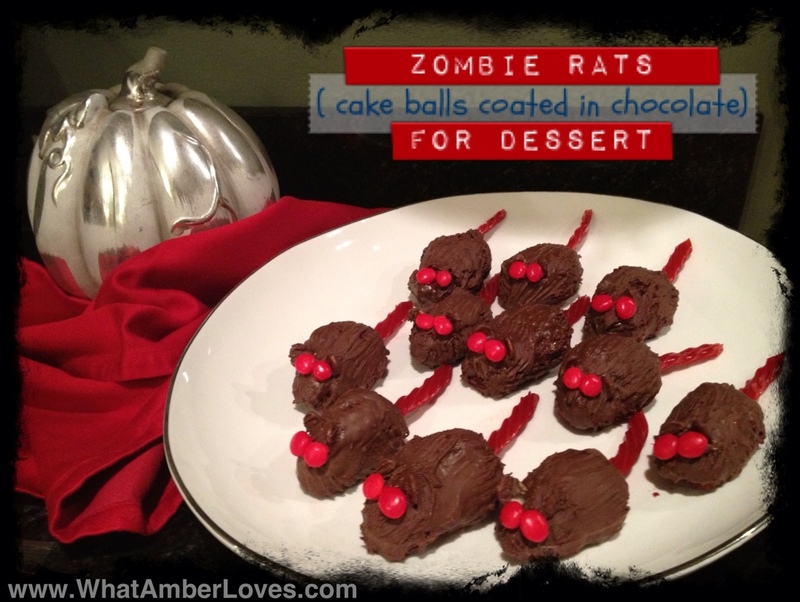 The “zombie rats” are actually red velvet cake balls coated in a hard chocolate shell! They have almond slivers for ears, red hot candy eyes, and candy tails! I saw the “creepy cake ball lab mice” tutorial on Polish The Star’s Blog, and decided to try it, with a twist! 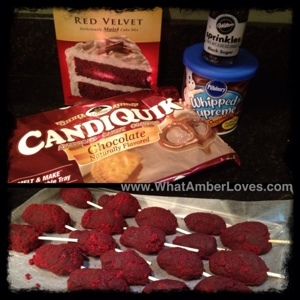 🙂 Instead of white lab mice, we went for big brown rats with red velvet filling! Mice + Rats + Halloween at its best! Yum! My husband, Mitch, and our daughters really get all of the credit for actually assembling our yummy little rats; I was in the room, though, so that counts, right?! Bake a cake, let it cool, crumble it up, mix it with icing, form balls (mice bodies). Put in freezer for ten minutes with a skewer to use for dipping. Melt coating. Dip bodies. Return to freezer for 10 minutes to firm the coating. 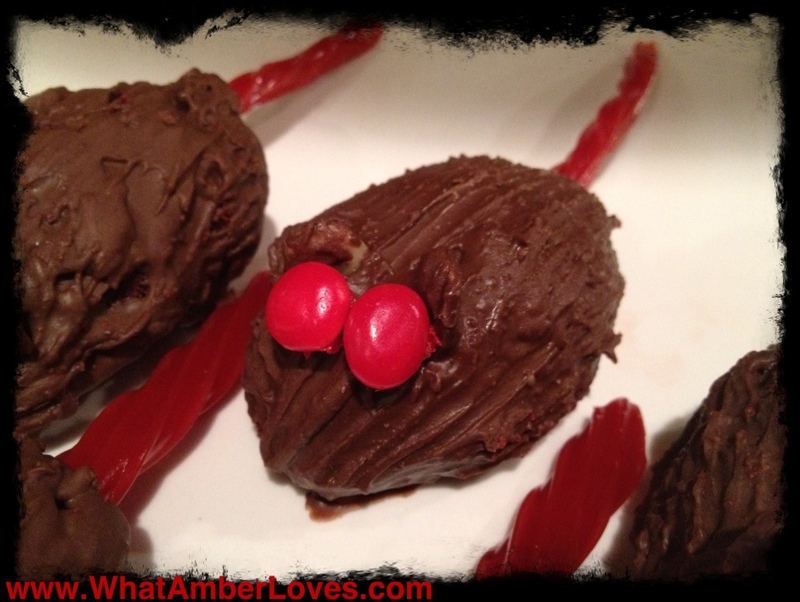 Remove skewer, insert twizzler tails, and affix red hot candy eyes with addition chocolate.